We analysed the marketing of over 100 trade companies to see what they were doing right and what needed improving so you can see what is working and what is not. Kevin Gallagher is an experienced inbound marketing consultant and the founder of Stargazer Digital. Kevin has over 10 years experience helping home improvement businesses grow, and is a regular contributor to the Stargazer blog. This guide has been written for anyone running a home improvement or home services business. You may own the business yourself but aren’t afraid to get your hands dirty, or you may be part of a sales team, or working as a customer services representative. 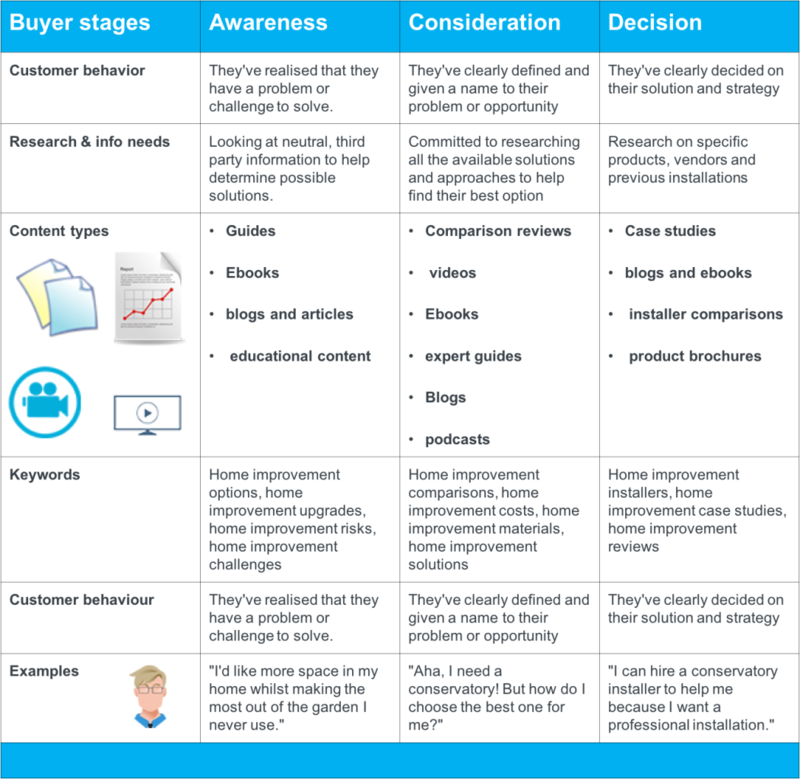 Regardless of your role in the home improvement industry, this guide will help you to understand the behaviour of the people you’re trying to reach out to, so you can get a better understanding of how they go about buying your products or services and how you should tailor your marketing to reach them. This knowledge will allow you to ensure your customers are better informed, so when they look to you to solve their problems, you’ll be right there with the answers they need to make a buying decision. It’s become apparent that a lot of businesses in the home improvement sector are failing to keep up when it comes to marketing their products or services in the digital age. Whether you’re selling conservatories, boilers, hot tubs, double glazing, landscaping services or any other products or services that apply to the home, the chances are, you may be struggling to engage with enough leads to sustain your business’s growth. However, it’s also true that many home improvement companies are actually really good at marketing themselves online and off, but in my opinion, too many are relying on out-of-date or costly methods that simply aren’t as effective as they could be. With this in mind, I decided it was time to produce a guide that really pinpoints the challenges faced by the home improvement sector when acquiring new customers, and selling their products and services. Many are struggling to even get the word out about their businesses – something’s got to give. This report has been put together as a result of many hours of research, with the aim of offering a comprehensive guide on how to market your home improvement business more effectively, in order to achieve your business goals – whatever they may be. The information contained on this page combines my 10 years’ experience of helping businesses just like yours, along with research compiled from our own studies, and some outside sources from the likes of Google. The compelling findings include statistics we just can’t ignore going forward, and supports the strategies I’m going to advise you on along the way. All the advice below is based on the fact that your customers’ buyer behaviour has changed, and how you must adapt to their evolving needs in the age of readily available information and technology. So, get ready to be blown away! You’ve probably noticed that the way people buy your products and services has changed in recent years. This change is not by any means limited to the home improvement sector; in fact, it’s widespread across all industries. For instance, I’m willing to bet that many of the customers that approach you seem much more informed about your products and services than they did a few years ago. In the same way, homeowners are also less likely to respond to traditional advertising, and instead like to spend time doing their own research. This is because the tables have turned, and these days consumers like to make up their own mind about their purchases, rather than being sold to via more traditional marketing techniques. All of your customers are on a journey, from the point where they realise they have a problem and begin to research various solutions, to finding which solution is the right fit for them and making a decision – and based on the information they find, they may even make additional purchases. 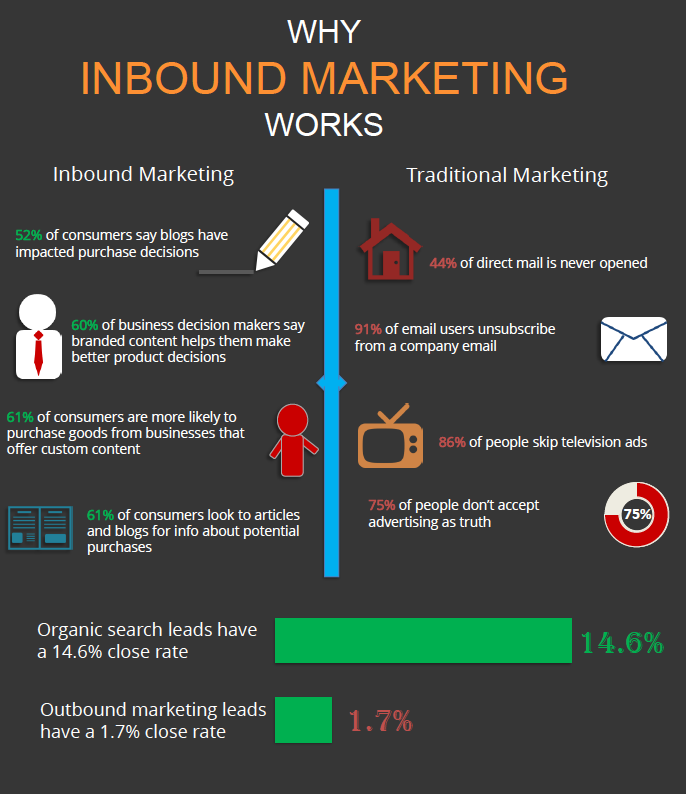 Inbound marketing was originally developed to help adapt your offline sales process (which you already know works) for the digital age, and encompasses an altogether more holistic approach to marketing. It works by providing helpful content to help your customers through every stage of their buyer’s journey, so they can make more informed decisions, faster – as well as combining other elements such as email nurturing, SEO and social media. By using inbound to help empower your customers to make the right choice for themselves, you’re not only building trust and authority, you’re also ensuring you only attract the right kind of people to your website; the ones that are most likely to buy your products and services. It’s also a very cost-effective way of marketing your business – for instance, did you know inbound marketing actually costs 62% less per lead than traditional outbound marketing? 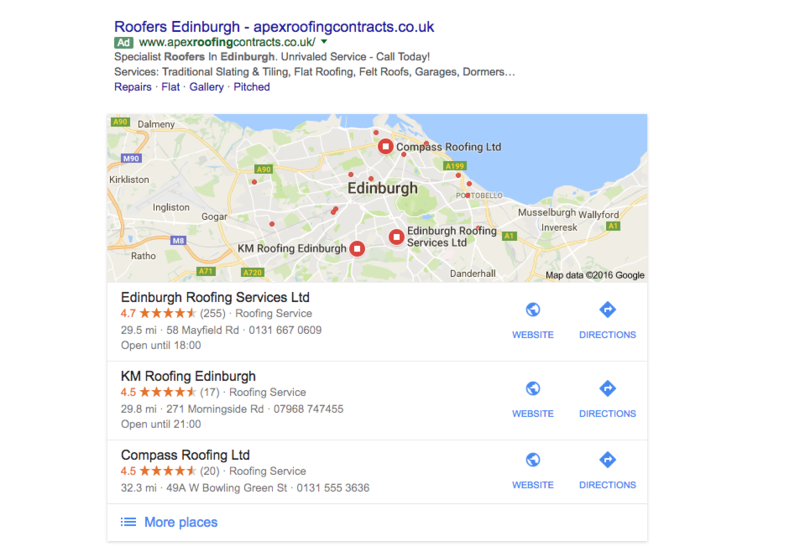 We recently looked at a total of 50 home improvement companies in Edinburgh, spanning central heating and boiler installers, to bathroom and kitchen installers, hot tub installers, and landscape gardeners. Out of the 50 home improvement websites we checked, only 30% had a blog, and out of those 30%, only one company posted frequent customer-focused content based on helpful, practical subjects. This is despite the fact that 82% of companies who blog tend to see a positive ROI from their marketing efforts, and 60% of the most successful B2C businesses have a documented content strategy. 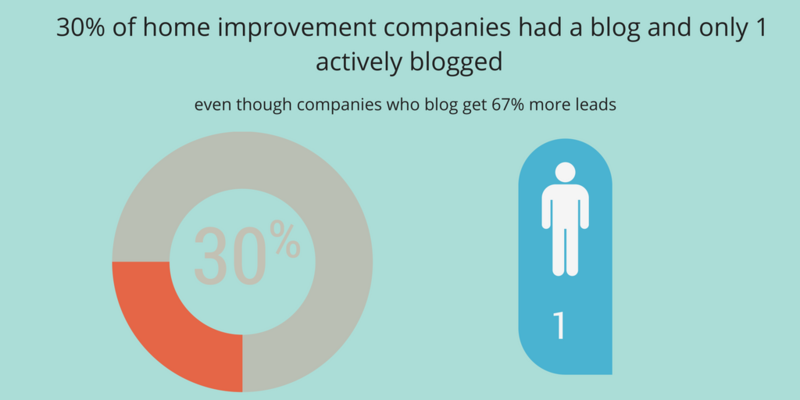 In fact, those who do blog receive an incredible 67% more leads from their website! 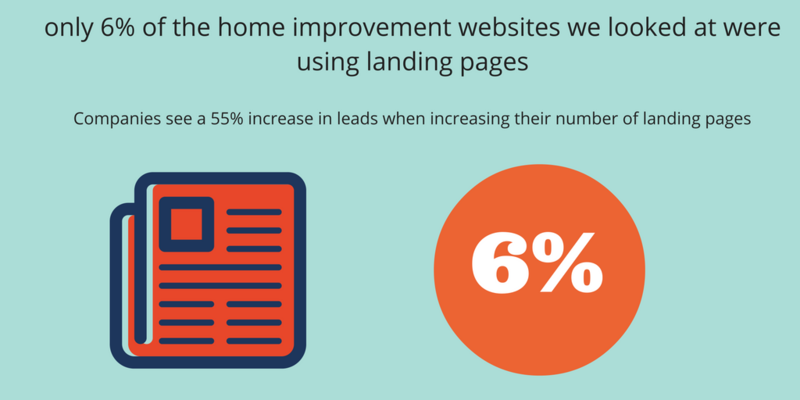 Even more worryingly, only 6% of the home improvement websites we looked at were using landing pages to generate more leads for their business. This is despite the fact that landing pages are absolutely crucial to generating leads for business and understanding more about your customers, as detailed by HubSpot. In fact, the average conversion rate for a B2C landing page is 9.87%. Only 6% of the websites we checked were offering premium content to their customers, such as free ebooks, guides, white papers and other forms of helpful, in-depth information. This is in contrast to the 31% of B2C businesses using white papers and 23% who regularly produce downloadable ebooks as part of their content marketing strategy. Impressively, 92% of the home improvement websites we looked at had contact us forms, but only 24% of those displayed only three fields or less. This is despite the fact that it’s been proven for conversion rates to increase by almost 50% when reducing the contact us form to three fields or less – just stop for a minute to think of all the conversions these companies are probably missing out on! 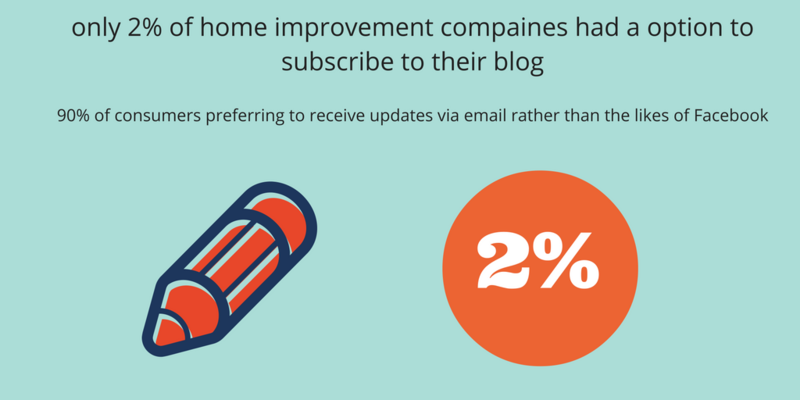 Finally, out of the 50 home improvement websites we check, only 2% had an option to subscribe to their blog – and 0% had a newsletter subscription option. However, with 90% of consumers preferring to receive updates via email rather than the likes of Facebook, a lot of home improvement companies could be missing out on some valuable leads and shares. Did you know that four out of five consumers are using search engines to find local information? Having a Google MyBusiness is an effective way of ensuring your business is visible to those looking for your products or services locally, whether it’s via smartphone or tablet. They’ll be able to see things such as your a description of your business, your opening hours, photos, contact details and even reviews that others have left on your page. An incredible 76% of B2C companies are using content marketing – and this could be anything from creating blogs, infographics and videos, to downloadable ebooks, white papers and more! Producing quality content is a vital part of inbound marketing, and is all about being helpful and providing the information your customers need to help make a buying decision. You can then share your content via various platforms such as your blog or website, and social media. In any marketing campaign, it’s absolutely vital that you know who your best customers are, so that you can develop effective content that speaks for them – rather than watered down content that doesn’t really resonate with anybody. Buyer personas are semi-fictional representations of your best customers, and should be based around the people who are buying your products and services. Who are they, where do they work, where do they spend their time, what do they care about? All of these things can be important. Research has actually shown that using personas makes a website two to FIVE times more effective and easier to use. 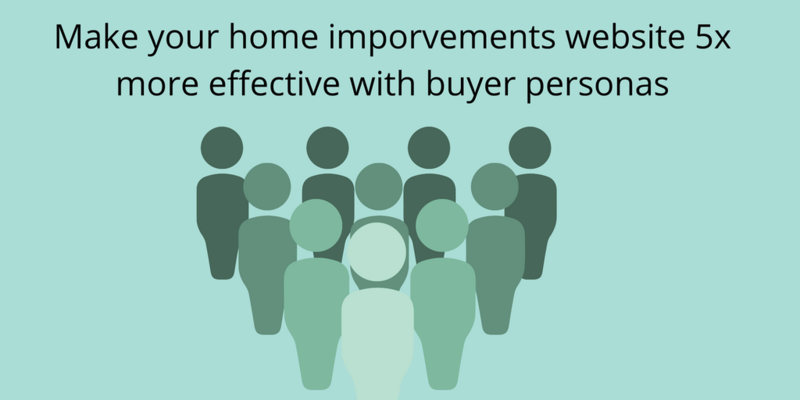 Read more about the importance of buyer personas in our blog post. TIP: You should always be developing your buyer personas to get a well-rounded picture of your customer base, and the best way to do this is to really pay attention to your customers and the questions they ask. You’re actually six times more likely to receive a click-through via an email campaign than you are from sending out a post on Twitter. That’s partly why email marketing (or nurturing) plays such a big role in engaging with new leads. To get the best out of email nurturing, you should have options for your visitors to subscribe to your blog, email updates or newsletter. Once they’ve opted in, you can begin creating well-crafted email marketing campaigns to help you promote content, offers and more. Marketing automation platforms such as HubSpot make it so simple to see how people are reacting to your emails, and can help you create better ones for the future. Like most things, the key to success is to create an effective strategy to help you get there. Ideally, your home improvement marketing strategy should include a holistic, all-round approach, rather than simply relying on one particular method. For instance, inbound marketing combines content marketing, SEO, email marketing, analytics and more to ensure you get the best results. However, the best thing to do is to sit down with a professional inbound marketing agency to set some S.M.A.R.T goals before you go any further. Setting goals is the first stepping stone to success, and a reputable inbound or digital marketing agency should then be able to help you come up with a solid strategy to help you succeed. When we closely examine all the evidence, we come to the conclusion that one of the biggest challenges the home improvement industry is currently facing is making that switch from more traditional marketing techniques, to a more holistic approach such as inbound marketing. The behaviour of home improvement customers has changed significantly in recent years, with 57% of people deciding to use your business before they even get in touch with you. So, what’s the best way to help them make that decision to use your business? The answer is simple; all you have to do is help them, by providing them with the right information and advice at every stage of their buyer journey. Create quality content that answers their biggest questions, addresses their concerns, and educates them on all their options. Set yourself above the competition and stand out by creating content people love.